Since we recognize that many of our clients have specific needs beyond accounting and tax assistance, Weil, Akman, Baylin & Coleman, P.A. functions as a business advisor and plays a key role in decision-making transactions that have a financial impact on individuals and organizations. On the basis of client needs, we provide a full range of accounting, tax and advisory services. WABC helps minimize threats to your financial security. We can evaluate your organization’s internal controls to ensure your resources are handled properly, protect you from employee theft and make sure you are operating efficiently and effectively. WABC conducts thorough auditing services for all types of entities. Our approach ensures the highest level of integrity in your financial statements. WABC will work diligently with relevant outside organizations, including customers, banks, vendors and attorneys during the auditing process. WABC is a member of the PCAOB and Employees Benefit Quality Center. If you are in need of a loan to start or grow your business, put WABC to work for you. With years of experience, our experts know what banks want to see in a loan proposal. We will organize and prepare your documents to put you on the road to swift approval. To learn more about how WABC can guide you in the loan process, please contact Carl Baylin at carl.baylin@wabccpas.com. When you are negotiating a merger, considering new shareholders, or attempting to resolve shareholder, estate or marital disputes, a valuation is a make-or-break proposition. Rely on the experts at WABC to provide the judgment, experience and information you need to properly evaluate your organization. Understanding value requires us to be intimately familiar with every detail of your business, and we will work closely with you to analyze operations and historical financial data to create a well-reasoned, fully documented and defensible valuation opinion. For more information on our trusted valuation counsel, please contact Dustin Page at Dustin.Page@wabccpas.com. The financial professionals at WABC are well-versed in the law and have worked with many leading law firms. We know what attorneys require to strengthen your case and are experts in advising them on complex financial matters. Growing and safeguarding your personal finances requires one-on-one guidance to help you effectively manage your assets. WABC will help you create a comprehensive financial plan to manage risk, improve performance and ensure the growth and longevity of your wealth. Let WABC ease the burden of estate planning by assembling a team of professionals, including experts in law, taxes and finance, to guide your decisions and save you tax dollars, court costs and headaches. We have expertise with IRA’s, 401K’s, living wills and trusts, disability planning, lifetime family wealth transfers, family partnerships and other business relationships, charitable donation, tax trust issues and more. The hassles and red tape of personal financial planning and estate planning can be daunting, but you don’t have to do it alone. We currently have individuals licensed to offer securities in the states of CA, DE, FL, MA, MD, NC, NJ, NV, NY, OH, PA, TN, TX, and VA. This is not an offer to sell securities in any other state or jurisdiction. Please visit WABC’s Wealth Management Services website or contact Jason Costner for more information. For situations that may not require the cost or extent of a full audit, a WABC review can provide limited assurance. Through inquiries with company personnel, observation of operations and review of previous financial statements, WABC accountants develop a solid understanding of your business – its operating characteristics and the nature of its assets, liabilities, revenues and expenses. The WABC team has great familiarity with a number of industries. In a compilation, WABC packages financial information presented by management in a financial statement report that will often meet the needs of creditors. Statements on Standards for Accounting and Review (SSARS) No. 21 introduced prepared financial statements, a non-attest engagement. This allows us to prepare financial statements for our clients at a lower cost without issuing a report. As part of our full-service approach, WABC also offers bookkeeping services, including payroll tax return preparation, posting of journals and ledgers and the preparation of depreciation schedules. If you are thinking about starting a new venture or expanding your company’s current offerings or services, developing a strategic business plan is an important first step to achieving your financial goals. WABC can lead you through this process, helping provide a blueprint for the company, analyzing the competitive landscape and outlining the business mission, products or services, management team, risks and financial health. WABC likes to be a partner to our clients for all of their financial needs and offer services that go far beyond traditional tax preparation. But we understand that when it comes to accounting, reliable tax assistance is a priority. Dealing with IRS regulations can leave anyone feeling lost without a compass. 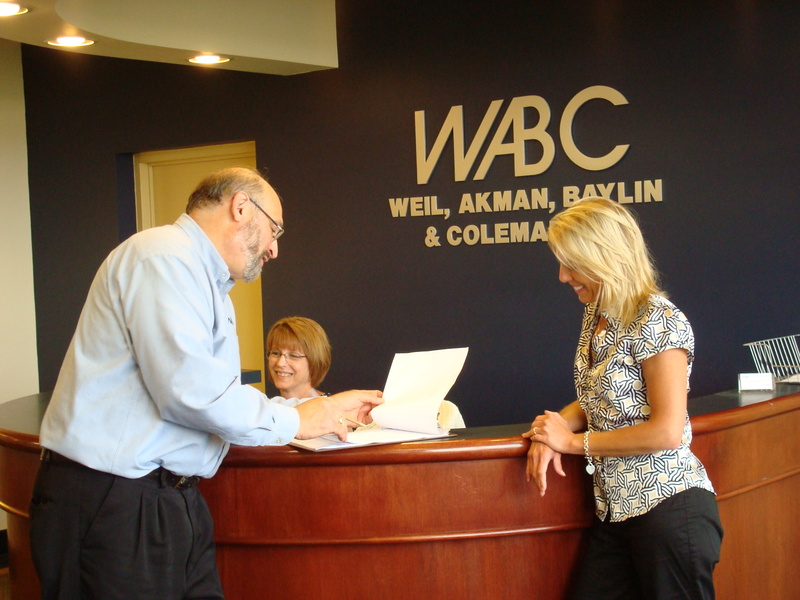 Working with WABC, you’ll have your own team of seasoned professionals, well-versed in the latest tax regulations, to de-mystify the process and serve your best interests.